Mold. It’s that ugly, nauseating stuff that makes us sick the instant we discover it. Where did this come from? How long has it been here? How bad is it, really? How much is it going to cost to get rid of? Do I need a mold remediation company? Can I do it myself to save some cash? Am I going to have to rebuild my whole house to find the source of the problem? We can practically see the vein in your forehead beginning to bulge as you think about it now. Nobody wants to deal with a mold problem. But, more than likely, we all will have to at some point. So, when that time comes, it’s good to be prepared in advance. Do I need to hire a mold professional to remove mold in my Sylvania, Ohio home? There isn’t a precise, “yes” or “no” answer to this question. There are a few factors to consider and it’s important to assess the situation carefully before deciding whether to hire out the work or grab a scrub brush and roll up your sleeves. First, look at the size and location of the mold. Is it a relatively small amount (less than 10 sq. feet) then you can probably tackle the problem yourself. For large mold problems covering an area greater than 10 sq. feet; or mold growing in studs, subflooring or drywall, you may need to consider talking to a qualified mold removal specialist. White mold is one of the most common mold problems around, and can easily develop in your kitchen, bathroom, basement, or other damp location in your home. If your problem seems relatively minor (again, under 10 sq. feet) and you think you have the skills to tackle the problem yourself, there are a few simple things you need to know. Safety first! You will be using a variety of products of chemicals to remove mold that can be harmful to your skin, eyes and your lungs. Be sure to wear protective gloves, goggles or other eyewear, and a mask before attempting to remove mold. Decide on the right mold removal product for your mold problem. Many common products can be used to remove mold. Bleach, Borax, Vinegar, Ammonia, Hydrogen Peroxide, Detergent, and Baking Soda are a few options to choose from. Look at the pros and cons of each and choose the one you’d like to try first. (note: Bleach is one of the most common mold removal solutions used, it does not completely kill mold growing in porous materials. Consider using other substances first if available.) The ration of product-to-water can easily be found online once you decide which solution to use. Scrub the mold-affected area. Grab a scrub brush and roll up your sleeves. Make sure the scrub brush is covered in a cleaning solution and begin scrubbing at the area to remove any mold present. Be sure to remove all mold and any visible stains. Once all mold has been removed, give the surface a final wipe down. You do not need to rinse away the product immediately, as any remaining cleaning agent will help prevent mold from returning. 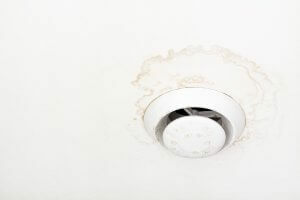 If you discover a mold problem on drywall, wood studs or subflooring in a bathroom or basement or kitchen, there may be the added work of removing or replacing a section or drywall or flooring first. If you have the skills to do this, simply remove the affected area of drywall or flooring, follow the above steps to clean away the underlying mold, and then replace the drywall or flooring with new materials. You shouldn’t need to replace the underlying wood after cleaning away mold from its surface. 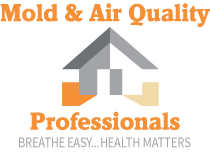 If you’ve got a mold problem that’s bigger than you can handle on your own, the certified professionals at Mold & Air Quality Professionals can help. Proudly serving Northwest Ohio and Michigan, we want to help you get rid of your mold problem without any hassles, gimmicks, or scare tactics. Just honest, trusted service that you can rely on so you can rest -and breathe- easy. Call us today to learn more about our mold removal services in Toledo, Ohio, Adrian, MI, and Dundee, MI.